Cuomo Fighting de Blasio over NYC Council Speaker. New York Gov. Andrew Cuomo has apparently picked his first fight with Mayor-elect Bill de Blasio’s by trying to stop his liberal pick for City Council speaker, Melissa Mark-Viverito. The Democratic governor has been trying to drum up support instead for Councilman Dan Garodnick, Councilwoman Mark-Viverito’s opponent in the race for the city’s second most powerful position, the New York Post reported Monday. Cuomo, first elected in 2010, has recently launched his 2014 re-election campaign, presenting himself as an economic moderate. “The governor, who wants to run for president, doesn’t want to see the city turned into a People’s Republic of New York at the same time as he’s trying to make the state at least look like it’s business friendly,” a political observer told the Post, referring to . De Blasio, who has called for higher taxes on the wealthy, endorsed Mark-Viverito, one of his strongest supporters in the mayoral election, for speaker earlier this month. “The mayoral meddling in Council business was unsurprising but unseemly, especially from someone who used to accuse Speaker Christine Quinn of being too close to Mayor Michael Bloomberg,” wrote the New York Times Editorial Board on Sunday. I have no plans to defect to APC – Deputy speaker, Ihedioha. Contrary to speculations that Deputy Speaker of the House of Representatives, Hon. 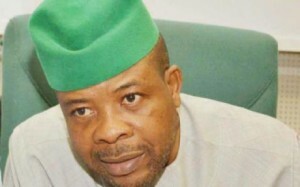 Emeka Ihedioha, is making plans to dump the Peoples Democratic, Party PDP, for All Progress Change APC, the lawmaker, Wednesday dismissed the rumour, saying nothing will make him quit the ruling party. Ihedioha, stated this during his constituency briefing in his country home, Mbutu, Aboh Mbaise local government area of Imo State. He said “It is impossible for me to abandon the Peoples Democratic Party, PDP, for any other political party. I am a foundation member of the PDP and worked very hard to build it”, he stated. He expressed regrets that some detractors had continued to spread the rumour of his alleged plan to defect to the opposition camp, calling on Imo people to avoid activities and statements that could heat up the polity. The legislator told the people that he had passionate desire to alleviate the sufferings of the masses, as well as develop his constituency and Imo State at large. Our Correspondent reports that there are rumours making the rounds in the state, that the Deputy Speaker, though unpopular, may likely join the gubernatorial race in 2015. 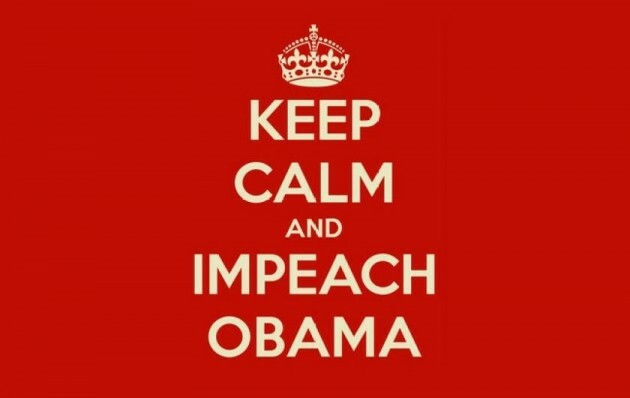 DNC Sends Email Preparing To Defend Against Obama Impeachment. Obama’s expansion of executive branch authority is “setting the stage for something very dangerous in the future” according to Republican Rep. Justin Amash. source- Daily Caller. Obama Behind Congressional Dems’ Sinking Ship: CNN Poll. The Democrats have lost the lead in next year’s Congressional mid-term elections and President Barack Obama and the rocky healthcare rollout may be to blame, a new CNN poll revealed Thursday. Republicans have gained a 13-point swing in the polls in the past two months, when Democrats held a healthy 50-42 percent command. That was a likely result after congressional Republicans got negative reviews during a bitter fight over the federal government shutdown and the debt ceiling. However, a month later, Republicans eked out a 49-47 percent lead. The new CNN survey, conducted in mid-December, in which 1,035 people were polled by phone, showed Republicans had widened the gap with a 49-44 percent edge. That changeover follows the public outcry over the disastrous HealthCare.gov rollout and the controversy concerning some insurance policy cancellations due to Affordable Care Act deadline complications. Republicans have a 17-seat advantage in the House and Democrats hold a 55-45 majority in the Senate. Another GOP advantage is the president’s plummeting popularity with the public. Fifty-five percent of registered voters say that they are more likely to vote for a congressional candidate who opposes Obama than one who supports him. Poll: Most Believe Gov’t Corruption is Worse Under Obama. Most Americans believe that government corruption has gotten worse under the Obama administration, according to a new national survey conducted by two conservative organizations. The survey, conducted by the conservative Judicial Watch in partnership with Breitbart.com, shows 77 percent of the 1,000 adults questioned are concerned about government corruption and 52 percent of them think the problem has gotten worse over the past five years since President Barack Obama first took office. “The Judicial Watch-Breitbart poll shows that the American people are thoroughly disenchanted with a government they see as corrupt and secretive,” said Judicial Watch President Tom Fitton. The poll taken Dec. 15-16 also sought information on attitudes concerning other subjects, including voter fraud, immigration policy, and Obamacare. When it comes to government corruption, Republicans tended to be more concerned, the survey revealed, with 88 percent being most concerned, followed by independents at 75 percent and Democrats at 68 percent. The respondents also expressed skepticism about several other Obama agenda items, including immigration and healthcare reform. Forty-nine percent said they believe immigration laws currently on the books should be enforced, and think illegal immigrants should return home rather than stay in the U.S. Of those polled, 71 percent favor enforcing current immigration laws, while 21 percent support changing the laws. The survey also revealed that most respondents are more confident in their states’ ability to handle healthcare issues than they are the federal government’s. But nearly one-third of the respondents don’t have confidence in government at any level to coordinate healthcare. As far Obamacare, two-thirds of those surveyed said they are satisfied with the insurance they have now.